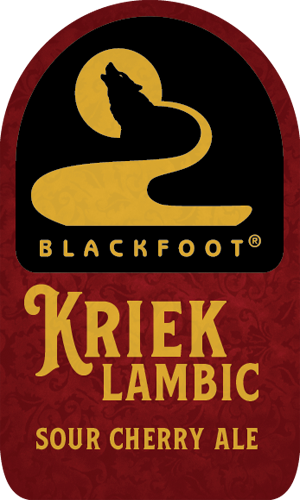 Blackfoot’s Kriek Lambic was aged in oak wine barrels for twelve months with Belgian yeast, Brettanomyces (wild yeast), and Lactobacillus. Once it was good and sour it underwent a secondary fermentation with tart cherries for an additional six months. Kriek Lambic is a reddish brown ale with complex aroma and flavor of sour cherries, sweet dark fruits, and oak.